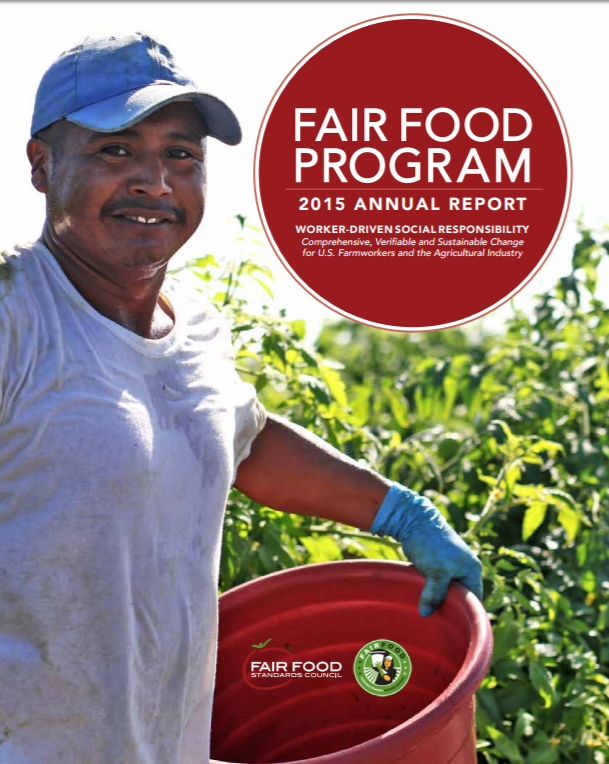 string(1061) "Resource Centre > Uncategorized > Fair Food Program 2015 Annual Report"
This is the third annual report by the Fair Food Standards Council on the state of the Fair Food Program. It includes an assessment of the Program’s first four years of implementation in the Florida tomato industry as well as the inaugural season of Program expansion to Florida-based growers’ tomato operations in Georgia, North and South Carolina, Virginia, Maryland and New Jersey. The reporting period begins on September 1, 2014 and runs through October 14, 2015. This report contains many important updates to last year’s report, while also providing key contextual information on the origins, objectives and structure of the Program.